Author Laurie A. Green » Who Doesn’t Love a Good Sci-Fi T-Shirt? Who Doesn’t Love a Good Sci-Fi T-Shirt? 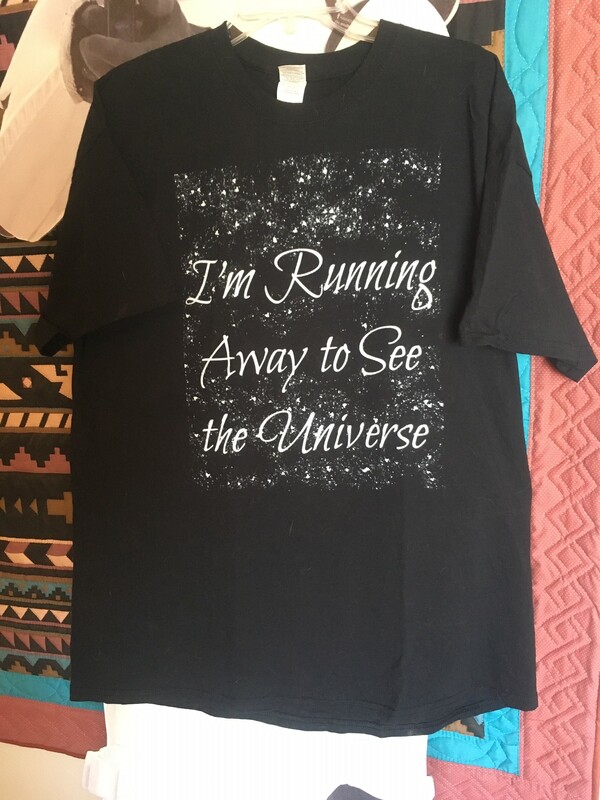 My surprise winners of the “I’m Running Away to See the Universe” t-shirt shown at the right were Donna Frelick and Lea Kirk.